Beware of emails that look like they could be real with a PDF attachment. Don’t open that attachment or click on any links or you will be hacked. I get several of these emails a day. Everyone thinks, why would someone want to steal my Identity because my credit is lousy or I have no money. Cyber Criminals don’t care about how much money you have or how good your credit is. They will steal anyone’s ID and information. They hack into places that have lots of information like stores, hospitals and government databases. They don’t personally target you. They will steal the information and sell it on the black market to the highest bidder. This information is then used to create fake identities that are used to get medical care, submit fake tax returns, obtain credit, and lots of other things. Watch this report from Fox News about Medical Identity Theft and Hacking. If you have a newer car with a wireless key fob device your car can easily be hacked. When most people get home they put their keys on counter and think their car is safe. Now crooks can use a simple amplifier device to make the car think the key fob is close enough and just like that your car is open with no sign of forced entry. In some cases they can even start your car and drive away. Protecting your car is easy though, just purchase a faraday cage bag and put your keys in it when you are at home or at work. Faraday Cage bags block all signals from reaching the device in the bag, you can even put your cell phone in the Faraday Cage if you don’t want to be tracked. Please purchase your Faraday Cage bag using my Amazon link and support How To Protect Your Privacy web site. To learn more about how thieves can hack your car and other devices you own listen to Security Now on Twit. A little extra from Sunday’s interview. John Oliver and Edward Snowden talk password security. I just updated to the new Firefox 37 and you should too. Both Google and Firefox are now block SSL Certificates from China’s CNNIC Certificate Authority. They have be caught forging invalid certificates and you could be hacked if you visits websites that use these certificates. In this day and age it’s important to take steps to protect your privacy and security. I recommend this book for anyone that wants to learn how to secure and protect their privacy and data on their computer. It’s written for non technical people so it’s easy to read and understand. Don’t Get Caught With Your Drawbridge Down! Just how secure is your computer right now? My guess is that you probably don’t really know. Computers and the Internet have revolutionized the modern world, but if you’re like most people, you have no clue how these things work or what the real threats are. It’s not your fault. Where would you have learned about this? Who would have taught you? 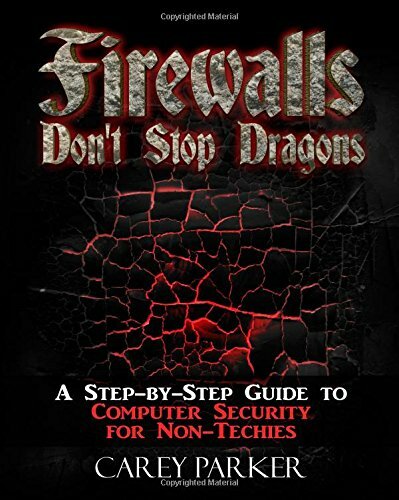 While there are tons of technical books on ‘cybersecurity’ for people that already understand computers and networking, there are almost none for regular, everyday folks. That’s why I felt the need to write this book.